NEROCA FC announce signing of Japan midfielder Katsumi Yusa! 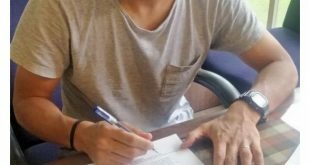 2018-10-03	I-League Comments Off on NEROCA FC announce signing of Japan midfielder Katsumi Yusa! VIDEO – XtraTime: East Bengal disappointed of not lifting I-League trophy! 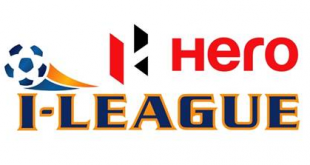 2018-03-09	I-League Comments Off on VIDEO – XtraTime: East Bengal disappointed of not lifting I-League trophy! 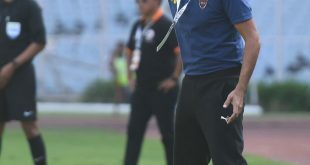 As XtraTime reports from Kolkata, East Bengal after drawing their final I-League game against NEROCA FC were disappointed for not lifting the league title. Head coach Khalid Jamil took the blame on himself, while Katsumi Yusa was already looking forward to the upcoming Super Cup. East Bengal pull off transfer coup in signing Mohun Bagan captain Katsumi Yusa! 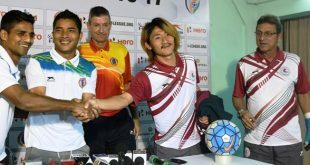 2017-08-22	I-League Comments Off on East Bengal pull off transfer coup in signing Mohun Bagan captain Katsumi Yusa! Katsumi Yusa stars for NorthEast United FC in their ISL-3 opening win over Kerala Blasters! 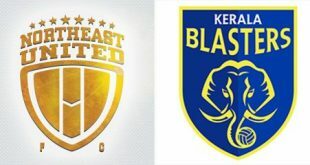 2016-10-01	Indian Super League Comments Off on Katsumi Yusa stars for NorthEast United FC in their ISL-3 opening win over Kerala Blasters! 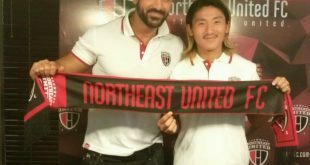 VIDEO: Signing Interview with Katsumi Yusa (NorthEast United FC)! 2016-05-31	Indian Super League Comments Off on VIDEO: Signing Interview with Katsumi Yusa (NorthEast United FC)! NEUTV host, Abhik Chatterjee spoke with Japanese playmaker Katsumi Yusa after the latter had signed for Indian Super League franchise NorthEast United FC for the ISL – Season 3. 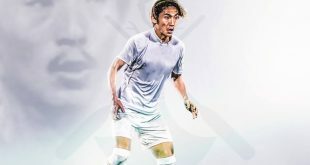 NorthEast United FC sign Mohun Bagan playmaker Katsumi Yusa! 2016-05-30	I-League, Indian Super League Comments Off on NorthEast United FC sign Mohun Bagan playmaker Katsumi Yusa! VIDEO – I-League: TeTe a TeTe with Katsumi Yusa (Mohun Bagan)! 2016-05-20	Asia, I-League Comments Off on VIDEO – I-League: TeTe a TeTe with Katsumi Yusa (Mohun Bagan)!